My nickname is Little Liz, but that doesn’t come without reason. I’m 5’1 and at times and mistaken for a high school student (hey, although it annoys me now, it will be in my favor ten years from now!) All my short people out there understand how horrible long dresses and skirts look on us. Also, I’m sure my short people have the same trouble as I do — finding dress pants that don’t drag on the floor for a cheap price is nearly impossible. It’s no surprise then that my current wardrobe is composed of shorter items and no dress pants. All of my business casual and professional clothing hit either at my knees or a little above. Unfortunately, clothing like mine won’t fly in South Africa. Older women are expected to wear dresses or skirts that hit below the knees and shirts that show no cleavage. Younger women aren’t taken as seriously in South African culture, so it’s going to be challenging for me coming in as someone who already looks young. However, if I can present myself well through my clothing choices I may be able to gain a little more respect early on. 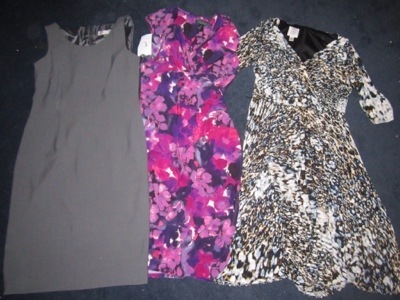 I’ve been aimlessly searching the women’s department at Macy’s this week to find the most conservative and long dress items I can find. Yup, you guessed it: I ended up at the old lady’s department. I know there’s really no such thing, but you know, the area of any department store that an older woman/mom/grandma would shop at. Goodbye fashion, hello to a completely different culture! Oh and did I mention I only get to bring two bags of luggage and a carry on? I booked my flight for staging (in-country orientation) in Atlanta. I leave San Francisco at 10pm on July 9th and arrive in Atlanta at 6am on the 10th. I’m a little bummed staging isn’t in Washington D.C. or Philadelphia because I wanted to say bye to some college friends, but I can’t do anything about it. I’m getting more and more excited every day! During my last English class, my teacher allowed me to do a short presentation about where I’ll be living and what I’ll be doing next year. 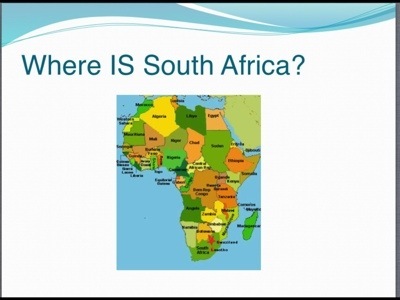 My students are pretty interested in it and actually know where I’m going (although South Africa isn’t that hard of a country to remember). I even got them to recite greetings in isiZulu in unison! They were amazed that I won’t have running water and I might not have electricity. They told me to watch out for animal “droppings” and asked questions about how I’ll survive without electricity. I explained to them that I am joining a government service organization that’s kind of like how you give years to military service for America, but instead I’m giving my time to help people. 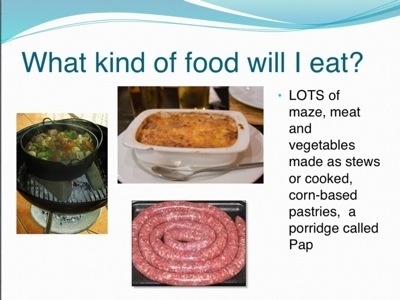 This slide generated a bunch of “ews” except one student said the sausage (known as Boerewors) reminded them of chorizo. 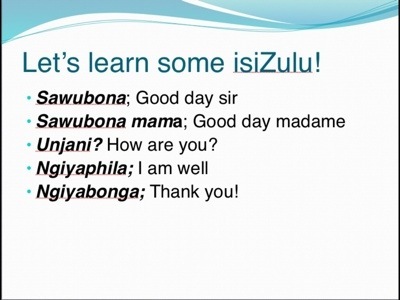 I’ll be honest, I can pronounce these greetings as well as my students, but we all tried together! I made my students Hertzog cookies from scratch, a famous South African cookie I found online. I’m not sure if this is really village food, but apparently it’s a cookie that’s made often in the country (maybe urban areas or both? I’ll have to find out when I get there!) 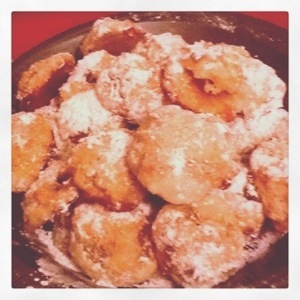 The cookie is a vanilla cookie with coconut, apricot and powdered sugar filling. The students enjoyed them and ate seconds! After I accepted my invitation to serve in South Africa, I had to do a lot of things quickly — apply for my visa, renew my passport, get the yellow fever vaccine, update my resume and write an aspiration statement. Here’s my aspiration statement, which is the first glimpse the Peace Corps staff in South Africa has of me! During my Peace Corps service, I plan to use professional skills I attained through my year of domestic service with AmeriCorps as a City Year corps member. Working in a classroom taught me preparation and organizational skills, which I plan to use when structuring my lectures for my classroom. Likewise, I plan to practice my teaching and lectures before actually delivering lectures to my students so I am prepared and don’t run into any difficulties that could have been avoided. I will set realistic goals and expectations for myself as a school teacher, other teachers and for my students based on their age, grade level and English experience. It is also important that I use my creativity to develop fun lessons for my students and share best practices with other teachers about teaching and subjects being taught. My interpersonal communication skills will also come in handy to connect with other Volunteers and South Africans I will be working with. The aspirations I hope to fulfill as a Peace Corps Volunteer range from becoming a better educator to making lifelong friends and family. I hope to use these two years as a school teacher to give me the utter most confidence to teach in the future. I aspire to give my students as decent of an education about English and HIV/AIDS as they can receive, regardless of the lack of resources there may be at their school, as I have done so with City Year. I understand that change is a slow process, but although I may not see any direct change within my classroom for a long time, I want to know that I made a difference in at least one person’s life. I want to fulfill integrating myself into a culture different from my own and truly feeling part of that culture. I dream to find friends and people I can call family through my community, Volunteer group and host family. One of my strategies for working effectively with host country partners is understanding the cultural norms of women in South African society. I will dress appropriately and professionally and withhold some of my personal beliefs that women may not be able to express in portions of South Africa. I will also adhere to the religious protocol. Although I am not religious, I will openly take part in, respect and learn my community’s religion. I will work hard to ensure that my young age does not hinder my success as a Volunteer. These measures will help meet expressed needs in schools because I will be taken more seriously as a school teacher. Likewise, I will use my communication skills and be very personable with those around me to create a welcoming environment, which will show my community counterparts that I am a hardworking and genuine person who wants to experience their culture and is honored to be living in the community. My strategies to adapt to a culture different from my own start by bringing the minimal number of American things I use consistently like advanced technology, stylish clothing and food items. Although it may be hard in the beginning without such things, if I live like the community, I will adapt to it more easily. I will always keep who I am as a part of me — like my tattoo on my wrist that says “hold fast to dreams” that is a symbol for my ambitions in life — but I know I will have to cover it up with jewelry, a watch or clothing due to cultural norms; that’s one way of conforming to South African culture, but also not losing sight of who I am as a person. A major part of who I am is also that I enjoy writing nonfiction stories about my experiences, which is something I won’t have to give up when assimilating to a new culture. Journalism reporting is the most important to me culturally, so I think being able to keep writing will allow me to take in other aspects of South African culture easily like food, language, religion, living arrangements and traditions. The knowledge I hope to attain at pre-service training is supplemental material about South African history, politics, economy and how these subjects relate to the educational system. I plan to do a lot of research beforehand, but I hope pre-service training is somewhat like a college lecture — I read and then the trainer supplements the research I’ve already done for a greater understanding. I want to learn enough about South Africa and its educational system so I can be productive and effective when working in a school and understand the school’s rules procedures. I would also like to learn more about the use of corporal punishment in schools and how Volunteers should respond to it. By living with a host family for cross-cultural training, I hope to learn how families interact and value education so I can translate my primary experiences into creating an efficient plan for parent-teacher relationships at the school I am assigned to. I would also like to gain more knowledge about the specifics of the Schools and Communities Resource Project; for example, I want to understand how we help other teachers understand material being taught or how we identify that we need to do so. As for learning new skills, I am determined to learn the language of my community during pre-service training so I can comfortably speak with those I live with and work with when I arrive in the community I will be serving in. 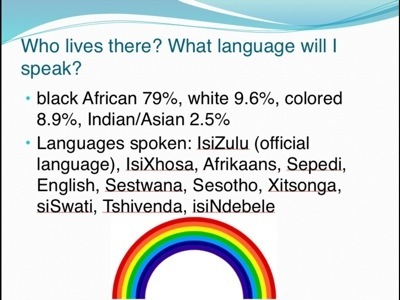 I hope to learn from my peers in my Volunteer group about different techniques they may be using to teach, assimilate to South African culture and cope with the transition from America to South Africa. Working at a middle school in the Watts neighborhood of Los Angeles has interested me in coming back to a similar neighborhood and working as an English and journalism teacher. I believe teaching in South Africa will widen these aspirations even more and help me build the experience I need to teach in Los Angeles when I return to America. If I do not end up teaching, I am interested in pursuing a master’s degree in public diplomacy, which is a combination of international studies and journalism. 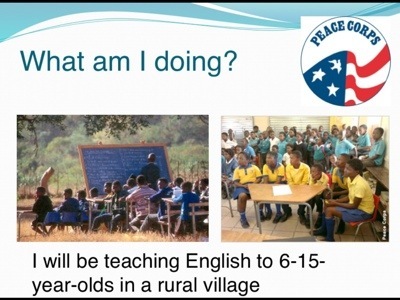 The Peace Corps is valued as a form of public diplomacy because I will be experiencing a different culture, teaching South Africans about America and will be able to share my experiences back in America for years to come. My 27 months in South Africa will be a real life approach to public diplomacy, which will help me contribute to the study of public diplomacy in American universities because it is a relatively new academic study. My personal aspirations are to just be happy in life, keep helping others and always be passionate about her work I am doing. I know that I will be passionate about my Peace Corps service, which will motivate me to keep doing service work after I return to the America. I am not the type of person who can sit in an office and do work that I know isn’t positively helping combat social issues or working directly with others. I need to be interacting with people and be always on-the-go. My Peace Corps service will instill these values in me even more so I will continue doing similar social issue work whether that is in America or abroad after my Peace Corps service ends. 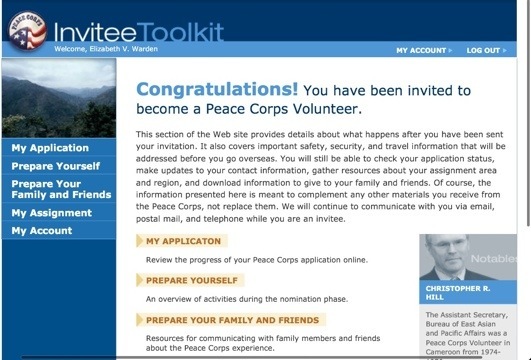 Peace Corps update: SOUTH AFRICA HERE I COME!!! Hold fast to dreams and they will come true! It took a whole week for my invitation to travel across country, but it finally came! I didn’t get to actually open it myself because I went to Las Vegas this weekend with the Markham team to celebrate the end of the year (which was amazing — love my team so, so much!) One of my roommates got it and opened it for me. I couldn’t wait any longer and would have been talking about it all weekend if I didn’t know what was inside that beautiful blue packet. After a seven month application process, I was invited to serve as a school teacher in South Africa! I will be working in a primary school (ages 6-15) as part of the Schools and Community Resource Project. This has been an ongoing Peace Corps project since 1997 — currently there are 106 volunteers in nearly 250 schools in over 100 communities. I leave on July 10, train from July 12 – September 13 and my service ends on September 13, 2014. 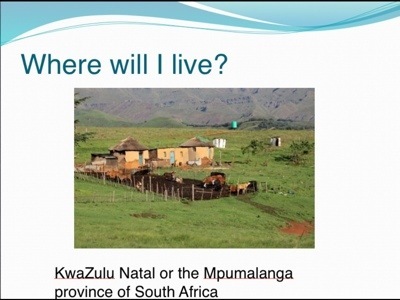 I will be living in either the Mpumalanga or the Kwa-Zulu Natal Provinces of South Africa. I will live in a family structure in the village I serve in, meaning I’ll have my own room in a family’s house (which could be anything from a tin-roofed house or a modern brick house). I likely won’t have running water, but it seems like I might have electricity. 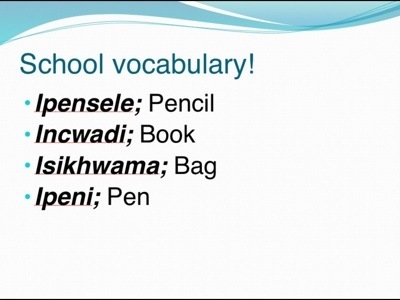 I have a lot of research to do about South African culture, education system, etc. South Africa here I come! In exactly 52 days. Life is crazy. 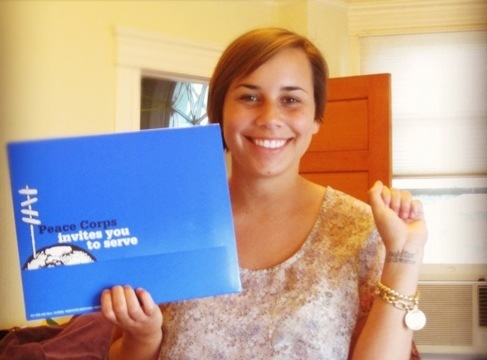 Peace Corps update: invitation is in the mail! After I talked to placement last week, I kept biologically waking up around 2 a.m. every morning to check my phone for an e-mail that said “Peace Corps application status update” (talk about anxiety). I had a gut feeling I would receive the e-mail on Friday morning because I knew if placement wanted to send me to a program mid-July they would have to notify me by next week. And I was right! I woke up at 2 a.m. this morning to an e-mail from the Peace Corps. I ran to the computer as my fingers clumsily typed on the keyboard and my heart pounded to find that beautiful “Congrats! An invitation has been sent!” in front of my eyes. I will know by next week where I’m going (somewhere in Africa if my placement specialist didn’t change her mind) and when I’m officially leaving! I’ll be able to keep my mind off of my invitation because I went home to the Bay Area this weekend to enjoy the company of my childhood best friends and celebrate one of their birthdays up in Sonoma County. We’re BBQing, going wine tasting and laying by the pool — the perfect relaxation and remedy to escape from my anxious reality of these past two weeks. 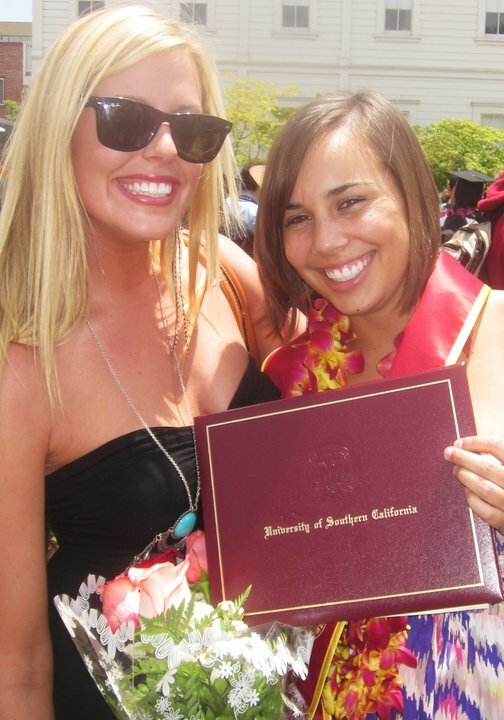 Exactly a year ago today I graduated from USC. Exactly a year later my invitation to serve in the Peace Corps was sent. I am proud of my choice to serve after graduation and to continue serving after City Year. I couldn’t have found a better way to spend my early 20s and it just keeps getting better. I can honestly say I haven’t been as happy as I have been this year; I laugh every day (and often!) If you’re passionate about the work you do, then you’ll be happy. Peace Corps update: Africa? Hopefully! Around a year ago, I started the Peace Corps application process. Now that that year-long gap is finally closing, I’m closer each and every day to receiving an invitation to serve. I was never worried about it not happening (a fortune teller told me I’d be living abroad for a while…she was right! ), but I did have an idea of where I wanted to serve. I loved the idea of serving in Eastern Europe or South America. My dad’s family is from Hungary, so I have a good amount of Eastern European blood in me. I thought it would be special to serve in a geographic that I had some connection to. I wanted to serve in South America because I wanted to learn Spanish. I’ve tried to learn Spanish, but it’s so hard to if you’re not immersed in the culture and have to speak it daily. I thought it would be a helpful skill when I return to America, considering I live in a city that is practically half Spanish speakers. However, after I received my worldwide nomination for secondary English teaching, I realized that this process became even more exciting because I could be going anywhere! On Thursday, I talked with my placement specialist who is the last person to review my file and make a final decision on where to send me. She said that she is currently considering me for an English teaching program in Africa that departs mid-July. She asked me if I would be okay with serving as a primary education volunteer, even though my nomination is for secondary English teaching. I said yes because through City Year I’ve experienced working with elementary school students and and I’ve definitely loved those few experiences I’ve had. It would be an exciting and interesting change of pace because I’m so used to working with middle or high school students! According to Volunteers who have already received their invitations, the countries it could be are: South Africa, Zambia or Togo!!! I’ll know if I’m leaving in mid-July within the next two weeks and if I’m not it means placement is considering me for another program. My placement specialist said that such online information from other applicants may not be correct. So, I’m trying not to speculate too much and just wait it out until I receive my invitation! I’ve put all geographic preferences aside and am so thrilled that I may be serving in Africa. I have talked to two people who studied in abroad in West Africa, my partner English teacher at Markham who visited East Africa and another program manager at City Year who taught in Kenya. All of these sources had absolutely nothing bad to say about Africa and loved every second they were there. All of them told me I won’t want to leave. I was talking to one of my teammates about the possibility of serving in Africa and we discussed how amazing the culture will be. People will be so welcoming and caring, which is a trait that not all Americans have. In America, people keep to themselves and are very individualistic. In Africa, everyone watches out for each other and genuinely care about each other. I hope I get to experience that type of culture! 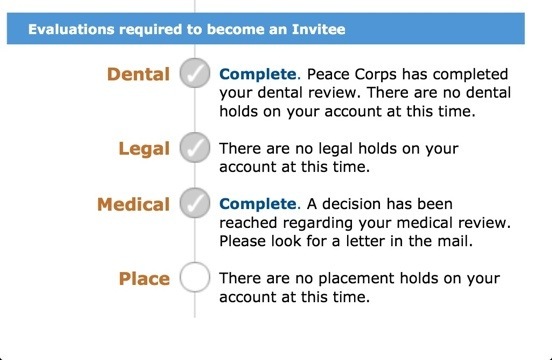 Peace Corps update: finally medically cleared! I have been waiting to hear some news about my medical review for a couple of days now. Last week I sent in some requested medical information (proof of an adult polio booster shot). I was getting worried that I wasn’t medically cleared right after my nurse received my fax, but as already discussed multiple times in this blog, anything Peace Corps takes a lot of patience. I had a feeling that the Office of Medical Services would contact me this morning. I get an email from the Peace Corps at 2 a.m. every time my application status is updated online (weird thing that happens to all nominees). I kept falling in and out of sleep and checking my phone for the email last night. I slept with my phone. I even dreamt about it. Low and behold, at 2 a.m. exactly, I got that email. My heart was pounding as I was anxiously waiting to find that check by my medical review (if there’s a check by your medical review that means your medically cleared!) Although I was relieved, I couldn’t sleep much after because this process has been moving so fast for me. I’m getting so incredibly anxious and excited! It’s really happening! And quicker than I thought!